Ask Make A Dramatic Difference a question. They will receive an automated email and will return to answer you as soon as possible. Please Login to ask your question. Blevins received the 2012 NJ Tony Award as Best Director-Choreographer for his production of Alan Menken's A CHRISTMAS CAROL: "Best director and choreographer: Michael Blevins (“A Christmas Carol,” Centenary Stage Company). Considering what he accomplished, Blevins must have started rehearsing around the time that Charles Dickens started writing his tale. He cast no fewer than 65 actors, many of whom were children that he’s coached in his invaluable Centenary Young Performers Workshop. They and the adults performed four production numbers, each of which was several minutes long. Blevins threw them an unexpected arm thrust here and an unanticipated slap on the knee there. More than five dozen actors got every move right on opening night. Only the best director-choreographers can get that out of so many people." - Peter Filichia, national theatre critic Blevins also received the Best New Musical Award from Rob Hopper, Executive Director of the National Youth Theatre for his original musical Count to Ten. Also, received Best Of Fest "Honorable Mention for Choreography" featured in the 2009 New York Musical Theatre Festival. Blevins' acclaimed students include Tony Winner Savion Glover, Emmy Winner Jason Samuels Smith, Tony Nominee Melissa Errico, Broadway performer & Tony Nominee Frank Dolce, noted Broadway Dance Center teacher Justin Boccitto, Broadway composer/lyricist Jason Robert Brown, and Emmy Winner & Broadway actor/dancer, Dule Hill, and Anthony Zas, of Disney's Newsies the Musical. Blevins was also asked to teach Macaulay Culkin to tap dance for a Bob Hope TV special. Michael Blevins is a highly respected and experienced teacher having sustained an International teaching career for over thirty years. Blevins currently spends his weekends serving as the director of the noted Centenary Young Performers' Workshop hailed by the Star Ledger as, "A State Treasure". The Young Performers' Workshop has been under Blevins' direction since 1992 and is a professional musical theatre training program housed by the Centenary Stage Company a professional Equity theatre in residence at Centenary College, Hackettstown, NJ and features weekend Fall/Spring sessions and a Summer Intensive program established and created by Blevins in 1993. Mr. Blevins was also commissioned to teach dance and acting by the Executive Director of the Vermont Alliance for Arts, Education, a member of the Kennedy Center Alliance for Arts Education.He has also acted as a resident teacher for New York University's Tisch School of the Arts exclusive studio program. Other teaching engagements have been with NYC's Broadway Dance Center, STEPS on Broadway the Summerfest Ballet Conservatory, East Tennessee State University,Public School Systems in New York state, NYC, and New Jersey, the Tennessee Association of Dance, Georgia State University, Nebraska Dance Teachers Association, Hunter College Elementary School and the Folkuniversitete Balettakademien under the artistic direction of Lia Schubert in Gothenburg, Sweden. [Madame Lia Schubert was the Artistic Advisor for Les Ballets Persans in Sweden, and Founder & Artistic Director Emeritus of the Stockholm and Gothenburg Ballet Academy in Sweden and Dance Center in Haifa, Israel.] Along with Gwen Verdon he co-founded the MTW Academy the first young people's Musical Theatre program run by a professional Off-Broadway theatre company. Former child students include: Broadway and film actress Melissa Errico, Broadway's and TV's ,Alfonso Ribeiro of "Fresh Prince" fame and Tony Award winning tap sensation Savion Glover. Tony winning choreographer Danny Daniels hired Blevins to train young Savion Glover, Dule Hill and Jimmy Tate for their roles in the Tony winning Broadway production of The Tap Dance Kid. Other celebrated Blevins students include, Justin Boccitto, Frank Dolce, Ron Morehouse & Adam Kantor. Additionally, Blevins holds the distinctive honor of giving Bob Fosse's and Gwen Verdon's grandson, Sean, his first dance and acting lessons. He currently teaches Tap Dancing and a One-Act Playhouse performance program at PS #75 on Manhattan's upper west side and also conducts Acting and Dance Workshops and Master Classes throughout the Tri-State area. 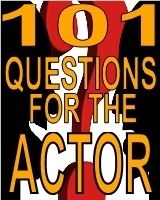 For up-to-date info on current Workshops & Master Class schedule visit: http://www.PerformingArtsWorkshops.org. MICHAEL BLEVINS is an agile and artful composer/lyricist and award-winning, published playwright with a variety of titles to his credit. He is the book-writer and co-author of music and lyrics for Count To Ten which played Off-Broadway at the Theatre at St. Clements and was an Official Selection of the 2009 New York Musical Theatre Festival. Blevins also received the Best New Musical Award from Rob Hopper, Executive Director of the National Youth Theatre for Count to Ten. In addition, Michael also penned “An American Sampler: 100 Years of Broadway Dance” that was commissioned by the New Jersey Performing Arts Center for their state-wide Theatre Academy Program and The Broadway Kid a One-Act Musical Vaudeville featuring the life, times and music of George M. Cohan. Plus, Blevins was commissioned to write the book, music, and lyrics for The Carol, a musical adaptation of the Dicken's Christmas classic that enjoyed a successful run at the Johnson City Community Theatre, the oldest continuing community theatre in the State of Tennessee. He is also the author of the social awareness respect-your-body one-act play, aftermath which has enjoyed productions in New York, Texas, Massachesuttes, and Ontario. "aftermath" is published by Heuer Publishing. Plus, Michael has penned several one-act plays to be performed by children most notably Kelly & The Internet Goblins published by PLAYS, The Drama Magazine for Young People. Other children's one-act plays authored by Blevins include Suite Heart, Club Drama, The Will, Reflections and Toylandfill will be included in a soon-to-be published book for young theatre enthusiasts entitled Garage Plays. Blevins' newest full-length play, The Roundabout Inn premiered at the Centenary Stage Company and plans are being made to bring the show to New York in the near future. Michael is a proud member of the Dramatists Guild of America, Inc. and is represented by New York entertainment lawyer, Donald C. Farber, Esq. and Literary Agent, Jerry Rudes, of Mistral Artist Management, New York. For more info visit: NYCplaywright.com MICHAEL BLEVINS has appeared in several Broadway productions including, "Bring Back Birdie", Neil Simon's "Little Me", and the Tony Winning "Tap Dance Kid" in which he created the role of "Winslow". Favorite Regional Theatre credits include: Andrew in "Love Letters", with Constance Shulman, the Emcee in "Cabaret" with Beth Leavel, Johnny Burton [role written for Blevins] in "Drumwright" with two-time Tony winner John Cullum, and John Cleary in "The Subject Was Roses". Other work includes appearances in a slew of National and International TV commercials, plus network television shows and specials including the "Tony Awards Show", and a regular spot on the ABC series "The Nashville Palace". Major film roles include a bit in "Zelig", and a supporting role in the screen biography "Chaplin", yet he is most widely known for his portrayal of Mark in the movie "A Chorus Line". Blevins feels fortunate having worked for many Tony and Academy Award winning Directors and Choreographers including Sir Richard Attenborough, Joe Layton, Woody Allen, Vivian Matalon, Peter Gennaro, Danny Daniels and Bob Fosse. He has performed with a wide variety of top-notch performers including Chita Rivera, Michael Douglas, Andy Griffith, Donald O'Conner, Diane Lane, Victor Garber, Brooke Sheilds, Savion Glover, James Coco, Bebe Neuwirth, Jane Krakowski and Robert Downey, Jr. He has been featured on "Good Morning America" for ABC-TV and on the covers of "Dance Magazine" and "USA Today". Blevins as Director/Choreographer: Off-Broadway credits include, choroegraphy for The Mad Forest, [Manhattan Theatre Club & the New York Theatre Workshop], direction and choreography for Count To Ten in the New York Musical Theatre Festival, [Theatre At St. Clements] where his choreography received an Honorable Mention in the NYMF's Best of Fest Awards for Excellence in Choreography. Other New York productions include: NY revival of Seesaw and Quick Curtains, [Group Theatre Too] and the aacclaimed Miss Evers Boys, [Red Fern Theatre Company]. He is currently a director/choreographer for the Centenary Stage Company, an Equity theatre in residence at Centenary College in New Jersey and most recently directed/choreographed Menken's A Christmas Carol there. Other Centenary Stage Company productions include, Oliver!, The Wizard of Oz, Nunsense and Little Shop of Horrors. Favorite regional productions include "The Subject Was Roses", and "A Thousand Clowns" with Adam Arkin for the American Stage Company. He has Directed and Choreographed the National Tours of "Babes In Toyland", "Aladdin", and "Tom Sawyer" for the American Family Theatre as well as "aftermath" a social awareness play that toured both public and private high schools reaching over 5,000 students in the Tri-State area. He was comissioned to direct "American Sampler: 100 Years of Musical Theatre Dance" for the New Jersey Performing Arts Center. Blevins has choreographed several national TV commercials for "Days Inn", plus, regional spots for the NJ State Lottery, and music videos for redording artists Melba Moore and Amy Grant. He has lent his choreographic assistance to a long list of network television specials including "How To Be A Man" with Scott Baio [CBS]; The Nashville Palace with Andy Griffith [ABC}; and "The Country Music Awards" with Charlie Daniels and Barbara Mandrell [NBC]. Blevins is the Co-Founder and current Artistic Director of the Group Theatre Too a New York based theatre company. [http://www.grouptheatretoo.org] Michael Blevins currently resides in Manhattan and is a proud member of the Actor's Equity Association, Screen Actors Guild, American Federation of Television and Radio Artists and the Dramatists Guild.